The full drum sheet music for “Fortunate Son” by Creedence Clearwater Revival from the album Willy and the Poor Boys (1969). The full drum sheet music for "Proud Mary" by Creedence Clearwater Revival from the album Bayou Country (1969). 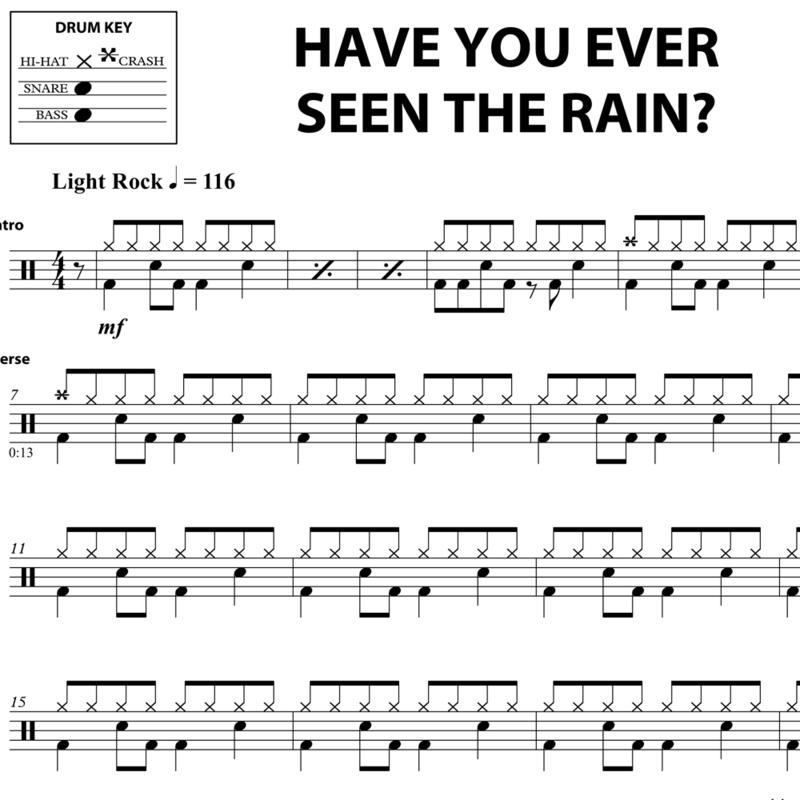 The full drum sheet music for "Have You Ever Seen The Rain" by Creedence Clearwater Revival (aka: CCR) from the album Pendulum (1970).